No matter how big and powerful government gets, and the many services it provides, it can never take the place of volunteers." Jackie Lacombe has served on the Board of Directors since January, 2008. A native of Michigan, Jackie has lived in Old Agoura for the last 25 years. She attended Moorpark College and CSU Channel Islands as a Psychology Major with an emphasis in Gerontology and is employed by Amgen. Jackie has long been an advocate of the elderly, serving as a volunteer for Westlake Village Meals on Wheels for 15 years. Lisa DiMolfetto, Secretary, began volunteering as an advocate for seniors in 2008 when she became an ombudsman with Long-Term Care Services of Ventura County. Lisa continued serving as an ombudsman in Santa Clara County when she moved to the Bay Area, and upon her return to Ventura County in 2011, became a member of the Board of Directors. Lisa has worked in the pharmaceutical/biotechnology industry for the past 15 years, with 9 of those for Amgen, and before her career in this industry, earned her PhD in Immunology from U.C. Davis. A native of Bakersfield, CA, Lisa has never lived beyond the borders of California. Lisa has been especially close to her parents, who inspire her to appreciate seniors, find great joy in their company, and advocate for their rights. 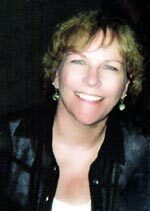 Dana Bowen, Treasurer, has served on the Board of Directors since the year 2000, formerly as board chair – two terms - and currently as treasurer. A CPA for 29 years, Dana brings a wealth of expertise in her role. She is actively involved in the financial stewardship of Long Term Care Services, and over the years has provided hundreds of hours of professional pro bono services. Currently she is a partner in BSI Energy Partners, LLC., where she also serves as the Chief Financial Officer. Jim Stueck has served on the Board of Directors for 11 years, formerly as board chair – three terms - and currently as the agency’s community education representative. Jim, a native Californian, received his Bachelor of Science Degree from Cal Poly San Luis Obispo. 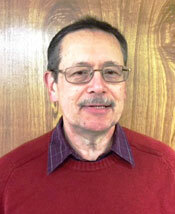 For the past 30 years Jim has worked as a Financial Service Representative. His community involvement includes Board Member and Founding Member of Moorpark Boys and Girls Club; President of the Moorpark Chamber of Commerce; Member and currently President of the National Association of Insurance and Financial Advisors – San Fernando Valley. 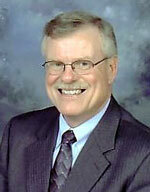 He is active in his church and currently serves as President of the Board of Trustees of Presbytery of Santa Barbara. Jim and his wife Mickey have lived in Moorpark for the past 28 years and have an adult son, great daughter in law and two amazing grandchildren. Jim says, “Being part of the Ombudsman Program has brought me great satisfaction in knowing I am supporting a work that is vitally important for the care and well being of our elderly in long term care. The program has been an incredible repository of knowledge and information for me and what I have learned has made me much more capable and confident in how to help my own aging parents”. Fran Rifley joined the Board of Directors in 2014. A registered nurse for 48 years, Fran completed her career with her retirement from California Forensic Medical Group. She has lived in Ventura County since 1967 when she moved here with her husband, Bryan, from Phoenix, Arizona. They have three married children and enjoy seven grandchildren, all in Ventura County. Jenny Lee, a Ventura County native, joined the Board of Directors in 2015. Jenny earned her Bachelors of Arts Degree from Thomas Aquinas College, after which she was employed by Amgen. During her years there, working with the Senior Care Team, she gained insight on how long term care facilities operate, and the different levels of care that are administered to the residents. She was introduced to the Ombudsman Program in 2006, when she began volunteering for Operation Senior Santa. Jenny lives in Ventura with her husband, Regis, and is raising their three young children. Jenny says: "During my childhood, my Mom would organize frequent visits to nursing homes, where we would sing to the residents and visit with them. These are fond and striking memories. The joy that a simple visit would bring to these people has made a lasting impression on me. It is a great honor to serve on the Board of Directors, to be a voice for the elderly, and advocate for their care." 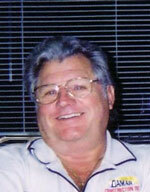 Daniel Uhlar became involved with the Ventura County Ombudsman Program in 2001 as a volunteer. Later he joined the staff as the Ombudsman-At-Large. In this role, Daniel monitored long term care facilities, trained facility staff in disaster preparedness, assisted with fundraising, and also recruited and helped train new volunteers. Daniel retired from his staff position in 2008 to spend time with his family. Prior to coming to the Ombudsman Program Daniel’s career consisted of City/County Planning in Northern and Southern California. He was also Senior Planner for Advanced Planning Section for five years. Daniel received his BA from Youngstown State University and his Masters Degree from the University of Akron. Daniel lives in Ventura with his lovely wife, Bernadette and their fun loving West Highland Terrier, Casey. Daniel’s experience advocating for seniors makes him a perfect fit for the Board of Directors. Mike Snowden Information coming soon.